Have you ever tried to make tortilla home? This was my first time and it’s sooo good. I would never buy at store again. Never liked store bought anyways. We make corn “rotala” at home so it’s not much different. Onlyt thing tortilla needs to be thin and that’s the challange. Recipe for tortilla is always on the pkg. I used Maseca corn flour and followed the recipe on the pkg which is just add salt and water. Used my roti maker to press tortilla. Put dough between plastic or wax papper and press it. Cook totilla on both sides. 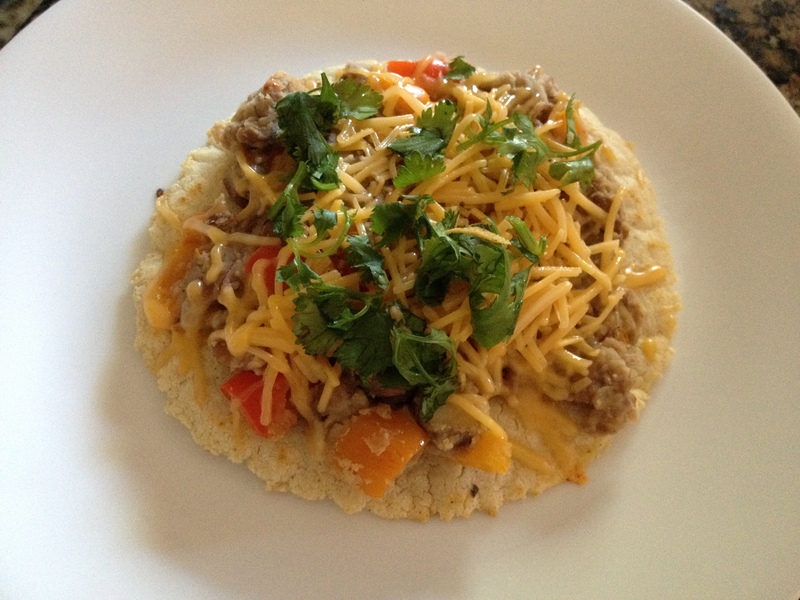 Made mexican pizza with it…it was very easy to make andyummy ! I cook my own beans too. That also makes a huge difference compare to canned ones. If you like mexican food, make from scratch at home. You will see the difference.